Professor Hamidullah belonged to an illustrious family of scholars, jurists, writers and sufis. His ancestors migrated from Arabia a few centuries ago. The distinguished sufi scholar ï¿½Ala al-Din ï¿½Ali Ibn Ahmad Al-Mahaï¿½imi (d. 1431), who is buried in Mumbai, Habibullah Bijapuri, an eminent sufi of the Deccan, and Muhammad Husayn Shahid, the last principal of the famed madrasah set up by the Brahman vizier Mahmud Gawan, were among his illustrious ancestors. Professor Hamidullahï¿½s great grandfather Mawlvi Muhammad Ghaws Sharfuï¿½l-Mulk (d. 1238/1822) was well versed in Arabic and Islamic studies. He wrote more than 30 books in Arabic, Persian and Urdu. One of his important works is a commentary on the Qurï¿½an, Nathruï¿½l-Marjan fi Rasm Nazmiï¿½l-Qurï¿½an, in seven volumes. Professor Hamidullahï¿½s maternal grandfather, Qadi Muhammad Sibghatullah (d. 1280/1863) was an accomplished scholar who wrote, among other books, a commentary on the Qurï¿½an. Nawab Ghulam Ghaws Khan, the ruler of Madras, appointed him as Chief Judge in 1272/1855. Professor Hamidullahï¿½s father, Mufti Abu Muhammad Khalilullah, was a scholar of considerable accomplishments. He migrated from Madras to Hyderabad where he was appointed director of the revenue Department in the Nizamï¿½s government. He set up the first non-interest financial institution in Hyderabad. He passed away in 1363/1943. Professor Hamidullah was born in Hyderabad. He was the youngest among the three brothers and five sisters, who were all well versed in Arabic, Persian and Urdu, as well as in Islamic learning. He received his early education at home, first from his sisters and then from his father. Later he was admitted in the Madrasah Nizamiyyah where he passed the examination for the degree for Mawlvi Kamil with distinction in 1924. His father had misgivings about Western education. Aware of his fatherï¿½s antipathy towards English education, the young Hamidullah secretively sat for the matriculation examination and, when the results were declared, topped the list of successful candidates. His father, who came to know about his sonï¿½s dazzling success through the local newspaper, sent for him. The young scholar came to the father with trepidation, fearing that he would get a reprimand for having appeared for an English exam, and that too without the fatherï¿½s permission. However, the young Hamidullah got a pleasant surprise when, instead of scolding, his father expressed his whole-hearted appreciation and joy over his sonï¿½s achievement and told him to carry on with his education. His fatherï¿½s affection and encouragement kept him in good stead in the years to come. Professor Hamidullah took admission in Osmania University in 1924 and passed the B.A., LL.B., and M.A. examinations in the first division. He was awarded a fellowship by the Osmania University to pursue doctoral studies in International Islamic Law. He traveled to several Islamic as well as European countries for the purpose of collecting information for his research. He was awarded D. Phil by the Bonn University in 1932. In recognition of his outstanding ability and his proficiency in several oriental languages, he was appointed a lecturer in Arabic and Urdu at Bonn University. After spending some time in Germany, he came to Paris where he registered at the Sorbonne University for another doctoral degree. In a short period of 11 months, Sorbonne University conferred on him the degree of D. Litt. During his stay in Europe, Professor Hamidullah had an opportunity to visit Istanbul. He visited the famed libraries and museums of Istanbul and saw, to his delight and amazement, thousands of rare Islamic manuscripts in Arabic, Persian and Turkish languages. Excited, he wrote to his father that he had seen a rare manuscript of Dhahabiï¿½s Duwaluï¿½l-Islam in one of the libraries of Istanbul. His sister, who also read the letter, wrote back to him, saying that he did not seem to remember that a copy of his manuscript was in their ancestral collection and that it had a few missing pages. She requested him to obtain the photographs of the missing pages and bring them home. 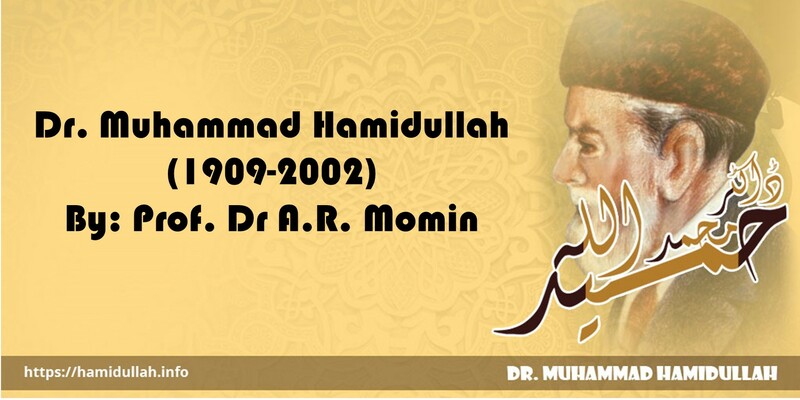 Professor Hamidullah returned to Hyderabad in 1938 and was immediately appointed a lecturer in Islamic Fiqh and later in International Islamic Law at the Osmania University. Following the amalgamation of the erstwhile Hyderabad state into the Indian Union in 1948, Professor Hamidullah migrated to Paris. He took up an assignment with Centre Nationale de la Recherche Scientifique in 1954, which ended in 1978. During this period, he also lectured at several universities in Turkey. Some of his former students, such as Dr Ekmeleddin Ihsanoglu, Director-General, Research Centre for Islamic History, Art and Culture, Istanbul, and Professor Salih Tug, former Dean, Faculty of Theology, Marama University, occupy important positions in universities and research centers in Turkey and other Islamic countries. In a scholarly career spanning seven decades, Professor Hamidullah wrote extensively across a wide spectrum of Islamic disciplines, including the translation of the Qurï¿½an in French, English and German, Hadith, biography of Prophet Muhammad (sws), Fiqh, Islamic International Law, Islamic History, and Arabic epigraphy. He wrote over a hundred books and over 1000 articles in seven languages, including French, German, English, Arabic, Turkish, Persian and Urdu. No other contemporary Muslim scholar can match his exceptional proficiency in several languages. He knew 22 languages, including Thai, which he learnt at the age of 84. Professor Hamidullah is the only scholar in the world to have translated the Qurï¿½an in three European languages: French, English and German. The French translation has an interesting background. Some time in the 1950s, Professor Hamidullah heard a knock at his door. The caller introduced himself as a local publisher who was interested in bringing out a French translation of the Holy Qurï¿½an. He gave a reference of the celebrated French Orientalist Louis Massignon, who had suggested that he should approach Professor Hamidullah for doing the French translation because he believed that no one else was better suited for this challenging and formidable task. Professor Hamidullah felt that the French translation of the Qurï¿½an, or its translation in any language for that matter, should in some measure convey the incomparable eloquence, majesty and persuasiveness of the original Arabic text. The thought that French was not his mother tongue and therefore he would not be able to do justice to the translation weighed rather heavily on his mind. When he expressed his anxiety on this count to the publisher, the latter suggested a remedial measure; Professor Hamidullah could render the text of the Qurï¿½an into French and the language of the translation could be polished and refined by a French man of letters. He, therefore, agreed to do the translation. This translation was first published in Paris in 1959. It has undergone over 30 reprints and the last edition has sold over two million copies. It remains the largest selling and the most widely read translation of the Holy Qurï¿½an in any European language. Parts of the English translation of the Qurï¿½an by Professor Hamidullah were published from South Africa in 1960. The German translation, though complete, remains unpublished. Professor Hamidullahï¿½s abiding interest in the translation and interpretation of the Qurï¿½an is reflected in his book, The Qurï¿½an in Every Language, wherein details about the translations of the Qurï¿½an in 125 languages, together with the translation of the first chapter of the Qurï¿½an in each of these languages, have been provided. The book was published in 1939. Professor Hamidullahï¿½s contribution to the literature on Sirah (Prophet Muhammadï¿½s (sws) biography) is marked by a refreshing originality and acuity of insight. His first book on the subject, published in 1935, deals with the diplomatic correspondence of the Prophet (sws) and his Companions (rta). His major Arabic book Al-Wathaï¿½iq al-Siyasiyyah, first published from Cairo in 1941, contains the texts, with critical notes and references, of more than 300 documents, including correspondence, treaties, proclamations and assurances, pertaining to the period of the Prophet (sws) and the four Caliphs. His French book Six Originaux des letters diplomatiques du Porphete e Iï¿½Islam, contains a comprehensive and exhaustive discussion in the light of classical as well as contemporary sources, on six of the Prophetï¿½s letters whose original texts have been preserved. Professor Hamidullahï¿½s biography of the Prophet (sws) in French entitled Le Prophet de Iï¿½Islam, first published in two volumes in 1959, has undergone several reprints and has been translated into several languages. He wrote a biography of the Prophet (sws) in English entitled Muhammad Rasulallah (sws) a short treatise, entitled The Battlefields of Prophet Muhammad (sws) in English and Urdu, combines information gleaned from the classical sources as well as from field work and topographical maps relating to the sites associated with the Prophetï¿½s military expeditions. Another significant work of Professor Hamidullah is Muslim Conduct of State, first published in 1941, which deals with theory and practice of statecraft in the early Islamic period. 1. Sahifah Hammam Ibn Munabbih by Hammam Ibn Munabbih (d. 101 A.H), published from Damascus in 1953, Urdu and English translation were published from Hyderabad in 1955 and 1961. 2. Kitabuï¿½l-Mubtada waï¿½l Mabï¿½ath wal-Maghazi by Ibn Ishaq (d. 151 AH) published from Rabat in 1976. 3. Ansabuï¿½l-Ashraf by Baladhuri (d. 892 AH), published from Egypt in 1959. 4. Kitabuï¿½l-Riddah by Waqidi (d. 807 AH), published from Damascus in 1964. 5. Al-Dhakhaï¿½ir waï¿½l-Tuhaf by Qadi Rashid Ibn Zubayr (d. 563 A.H.), published from Kuwait in 1959. 6. 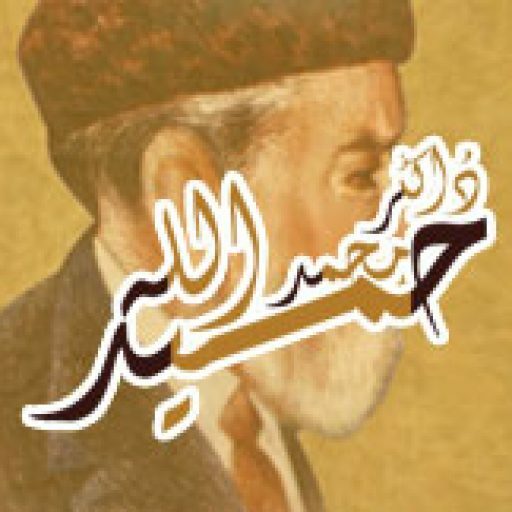 Maï¿½danuï¿½l-Jawahir fi tarikhiï¿½l-Basrah waï¿½l-Jazaï¿½ir, by Shaykh Nuï¿½man Ibn Muhammad, published from Islamabad, Pakistan in 1973. 7. Kitabuï¿½l-Nabat, by Abu Hanifah al-Dinawari (d. 882 A.H), published from Cairo in 1973; the English translation of the book by Professor Hamidullah was published from Pakistan. 8. Kitabuï¿½l-Sard waï¿½l-Fard fi Sahaï¿½ifiï¿½l-Akhbar, by Ismaï¿½il al-Qazwini, the text, together with the English translation, was published from Islamabad, Pakistan in 1411 A.H. Professor Hamidullah translated Sarakhsiï¿½s celebrated work Sharhuï¿½-Siyar al-Kabir in French. Parts of this translation, running into 3000 pages, were published from Ankara. Imam Bukhariï¿½s celebrated work Al-Sahih was rendered into French by some Western Orientalists. Professor Hamidullah compared the French translation with the original Arabic text and identified hundreds of errors in the translation. This book, comprising 600 pages, was published from Paris. He prepared a detailed and exhaustive index of Imam Bukhariï¿½s Al-Sahih in Arabic and French. Professor Hamidullah wrote books for the general reader as well. Mention should be made of Introduction to Islam, first published in 1957, which has been reprinted several times and has been translated into 22 languages. Professor Hamidullah belonged to that rare and rapidly dwindling breed of Muslim scholars who carried on the tradition of their illustrious forebears with utmost sincerity, incredible selflessness and exemplary dedication. A highly self-respecting person, he did not accept any gifts from any one. His French translation of the Qurï¿½an has sold millions of copies and the publisher has become a millionaire. Yet, he did not take a single franc by way of royalty. In 1987, the government of Pakistan presented him a cheque of US$ 25000 as a token of appreciation for his outstanding services to his cause of Islam. He promptly donated the money to the Islamic Research Institute, Islamabad. He was nominated for the prestigious King Faisal Award, but he declined it. Professor Hamidullahï¿½s selflessness and complete detachment from worldly allurement was reminiscent of the example set by the Muslim scholars and sages of earlier times.